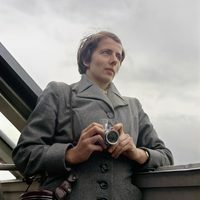 Vivian Dorothea Maier (February 1, 1926 – April 21, 2009) was an American street photographer, who was born in New York City and spent much of her childhood in France. After returning to the United States, she worked for approximately forty years as a nanny in Chicago, Illinois. 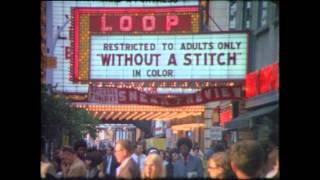 During those years, she took more than 150,000 photographs, primarily of people and architecture of New York, Chicago, Los Angeles, although she traveled and photographed worldwide. Maier's photographs remained unknown, and many of her films remained undeveloped, until her boxes of possessions were auctioned off. A Chicago historian and collector, John Maloof, examined the images and started to post Maier's photographs on the web in 2009, soon after Maier's dea Vivian Dorothea Maier (February 1, 1926 – April 21, 2009) was an American street photographer, who was born in New York City and spent much of her childhood in France. After returning to the United States, she worked for approximately forty years as a nanny in Chicago, Illinois. During those years, she took more than 150,000 photographs, primarily of people and architecture of New York, Chicago, Los Angeles, although she traveled and photographed worldwide.